In Florida, the only votes that count are the ones cast for Republicans. Welcome to the Florida Recount Nightmare Redux. With Republicans in charge of the state and vote counts within fractions of a percent of one another, we're heading for another dizzying array of arbitrary deadlines and cheating cheaters. For example, in Palm Beach County, officials have said it's impossible to complete their machine recount by Thursday. Sarah Revell, the communications director for the Florida Department of State, told CNN's Ana Cabrera that if a county does not submit its results by deadline, "then the results on file at that time take their place," she said. Palm Beach County GOP Chairman Michael Barnett told CNN that the county's inability to meet the deadline would be "good news for Republicans because our candidates are ahead." 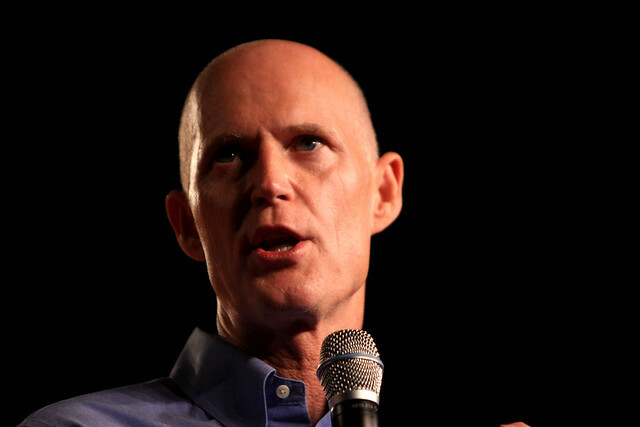 In Broward County, Rick Scott is...well, basically having a hissy fit and being a bully. It is as if we've turned the clock back 18 years and it's 2000 all over again, with a Supreme Court ready, willing and able to step in and decide (YET ANOTHER) close Florida race. I don't know about you, but it's making a stressball out of me all over again.